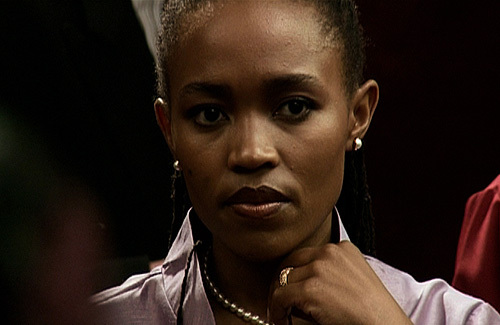 Moshidi Motshegwa is a South African actress best known for her leading role as Denzela Ledwaba in the SABC2 police drama series Zero Tolerance, from 2003-2006. She won the Best Actress in a Television Drama Golden Horn award at the inaugural SAFTA Awards in 2006, for her role in the series. She is also known for playing the role of Florence Nxumalo in the 2004 feature film Drum, with Taye Diggs. Motshegwa has appeared in numerous television shows including Friends Indeed, Gaabo Motho, Flat 27, Generations, Justice For All, Joburg Blues, Behind the Badge, Ke Nnako, SOS, Hillside, The Lab and Jozi H.
She also made a guest appearance in a 2003 episode of the American medical drama series ER entitled "Makemba" (Season 10, Episode 10). 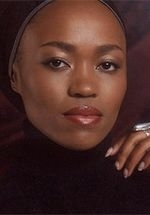 She portrayed Nelson Mandela's daughter Zinzi in the 1997 made-for-TV movie Mandela and De Klerk. In 2007 she starred in the Dutch mini-series Stellenbosch. Other films she has appeared in include Hijack Stories (2000), Critical Assignment (2004) and The African Story. In 2008 she was to have voiced the role of Miriam in an animated television series called Speedy, based on the comic strip by cartoonist Tim Mostert which appears in the South African tabloid The Daily Sun. The series was notable for being the first content acquisition for the pay-TV arm of Telkom Media, which was awarded a pay-TV licence in September 2007. Telkom Media subsequently withdrew from the pay-TV market, effectively cancelling the show. She played the leading role of Uhuru Mokoena, the daughter of a wealthy Xhosa doctor who has post-traumatic stress disorder following a hijacking - in the SABC2 mini-series Noah's Ark, from July to August, 2008. She is one of the contestant panelists on the SABC2 game show Where Were You?, from August to November, 2008. Moshidi is one of the judges of the SABC1 reality competition talent search So You Think You're Funny!, since November 2008. She helps comedian David Kau find South Africa's top unsigned comedic talent.